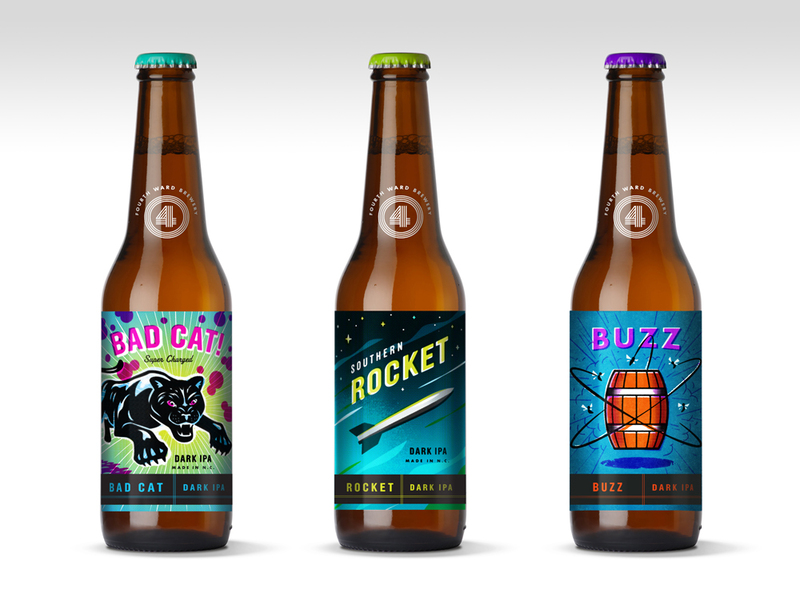 I worked with a start up brewery here in Charlotte, from the naming, up through the securing of a physical location and full set of brand assets. Although the brand work was completed and approved, unfortunately the brewery itself is on hold for now, most likely not to happen. Despite that, I had a blast working with the client and wanted to share the work. The brewery was conceived as a nano-brewery. The concept was to create a brew in the heart of Charlotte that would be served exclusively at the brewery itself. It was to be very destinational and inspired by, and tied to its Charlotte roots. Names were explored that were inspired by the area, including a potential physical location, a historic fire house. One of the early concepts was to create labels inspired by vintage firecracker packaging.